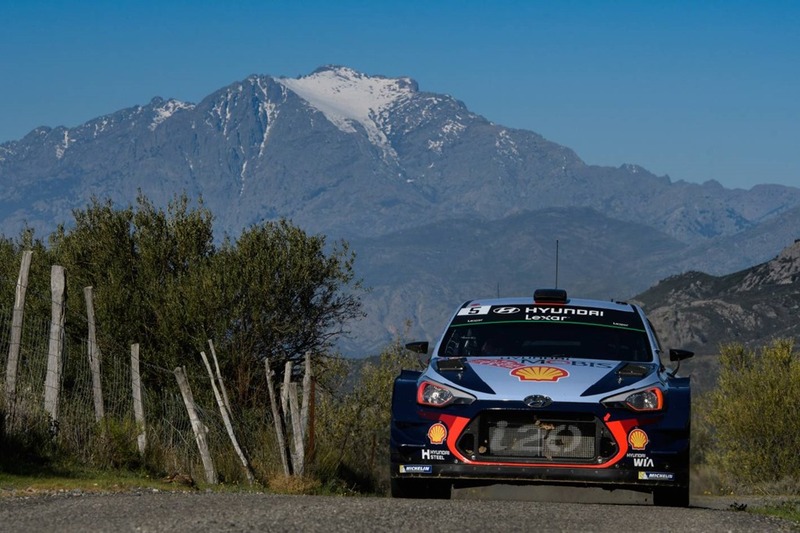 10 April 2017 – Hyundai Motorsport has registered its maiden victory of the 2017 FIA World Rally Championship (WRC) with Thierry Neuville securing victory in Tour de Corse in the #5 Hyundai i20 Coupe WRC. Dani Sordo made it a rally to celebrate for the team, picking up his first podium of 2017 with an assured drive to third place, missing out on second position by just 1.3-seconds. The result represents the fourth WRC victory in total for Hyundai Motorsport, and the team’s fifth double podium result. 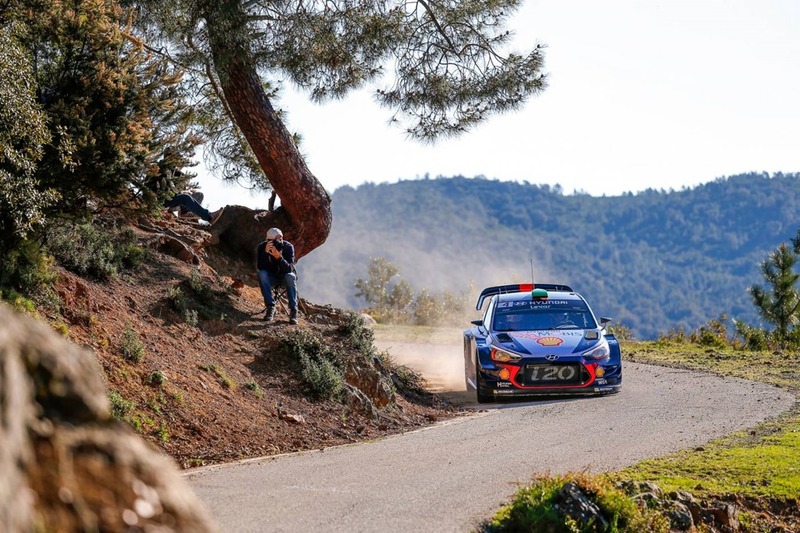 Hayden Paddon finished sixth to ensure all three Hyundai Shell Mobis World Rally Team crews finished a gruelling rally on Corsica. Starting Sunday morning with a seemingly comfortable lead of 39-seconds, Neuville and co-driver Nicolas Gilsoul set about securing their advantage over second-placed Sébastien Ogier. Tackling the monster 53.78km Antisanti-Poggio di Nazza, the longest stage of the rally on the narrow and winding mountainside roads, the Belgians claimed their fourth stage win of the weekend. As Ogier hit trouble in SS9, Sordo and co-driver Marc Martí took second in stage and moved up behind their team-mates on the overall classification. Just 2.5s separated the Spaniards from the third placed M-Sport crew heading into the Power Stage. In a thrilling finale, it was Ogier who reclaimed second, leaving the Spanish crew to be content with third. Sordo added two extra points for finishing fourth in the Power Stage, while Neuville maintained his consecutive run of Power Stage points with fifth place. With four different winners in the opening four rounds of the 2017 WRC season, the Championship fight is well and truly open. With its 1-3 in Corsica, Hyundai Motorsport has moved up to second in the Manufacturers’ standings, closing the gap to the leaders to 24 points. 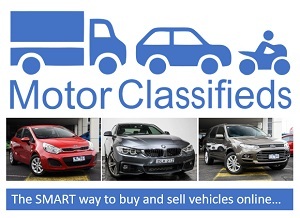 Neuville moves up into third on the Drivers’ classification with 26 points scored this weekend. 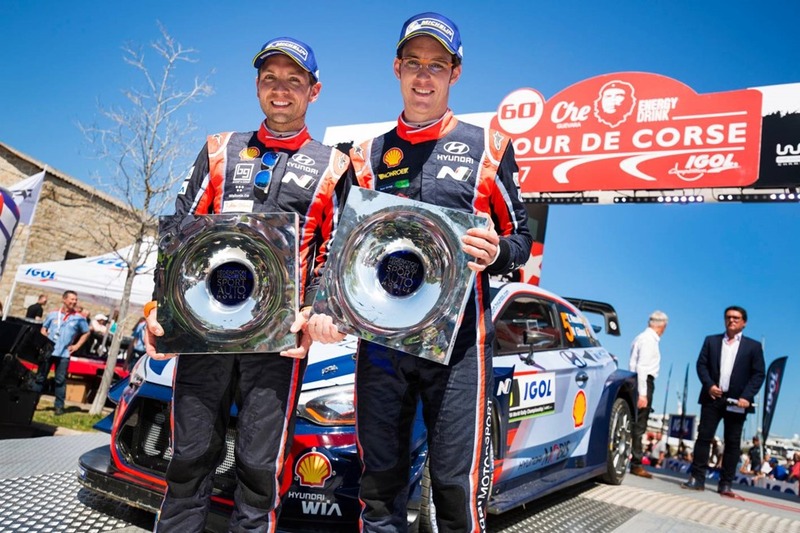 Having shown their rally-winning potential in Monte-Carlo and Sweden, Neuville and Gilsoul finally took victory honours in Corsica. It put to rest the disappointment from those two opening rounds of the season, and reaffirmed the Belgian crew as ones to watch in 2017. Sordo and Martí scored their first podium of the season with a spirited drive to third place, after struggling at times during the weekend. The result is their fifth career WRC podium with Hyundai Motorsport after Germany 2014/2016 and Spain 2015/2016. 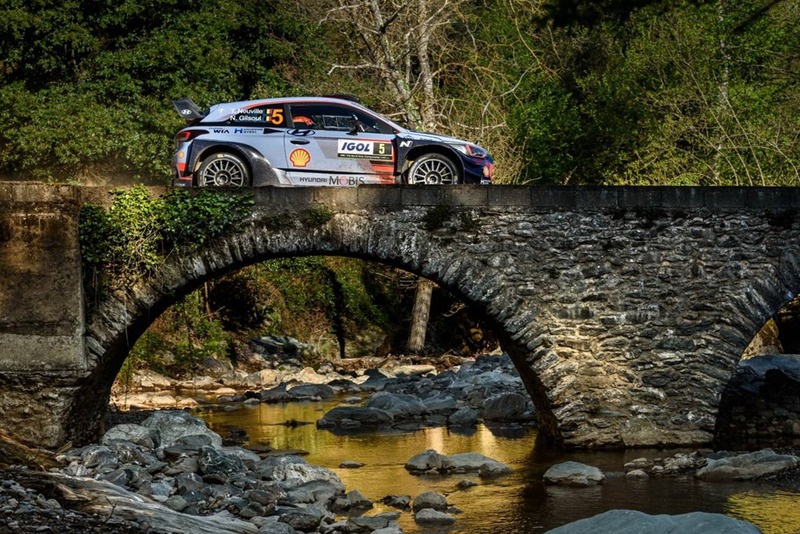 Tour de Corse has not been an easy weekend for Paddon and co-driver John Kennard, as the Kiwi duo struggled for consistent pace over the ten stages. Despite making headway in their performance on Corsican tarmac compared to last year’s round, the crew had to settle for sixth place. For Hyundai Motorsport, today’s result has been a long time coming after the competitive performances shown by the team’s Hyundai i20 Coupe WRC cars so far this season. The team now has 24 stage wins so far in 2017 and becomes the fourth different manufacturer to be victorious in as many events. The 2017 FIA World Rally Championship will head back overseas later this month for round 5, Rally Argentina, where the Hyundai Motorsport team was triumphant twelve months ago. The 18-stage gravel rally will take place from 27-30 April.